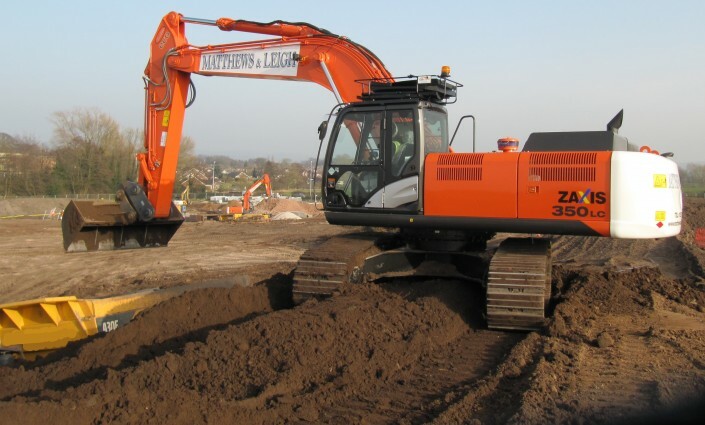 Matthews & Leigh has recently invested in a brand new 35 tonne excavator to increase its capabilities on larger sites. The Hitachi ZX350 will be the biggest machine in the fleet and will enable the company to work more efficiently on bulk excavations, improving performance and productivity, whilst ensuring schedules and timescales are adhered to. The new excavator will be ideal for bigger housing developments, roads and sewer works, where drainage and pipes can be installed much faster.